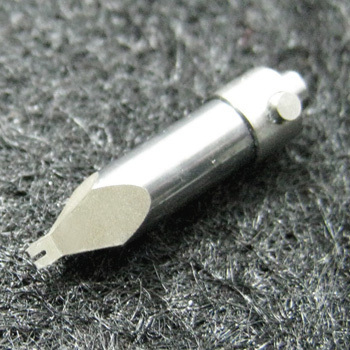 As a leading manufacturer of Tools, we not only provide professional Stamping Tools, but also offer quality Needle, Dispensing Nozzle, Small Tool, Jet Nozzle, Dispensing needle, Micro Needle, Die Collet and Rubber Collet. Double-pin epoxy stamping pins are used for rectangular dies. They make production more efficient. Custom tip designs are available.